*There is/are 5 - 10 People R&D Engineer(s) in the company. A: Yes, we offer 1-year warranty for all power supply. 1.We offer 24 full time service,Please feel free to contact me,if you have any problem on my product. Your inquiry will be replied within 10 hours. Item will be shipped within 5-10 working days after receiving a verifying payment. Please contact us within 30 days from dispatched if you don't receive our item(s). Otherwise, we would consider that the item(s) has been received. 3.Business days: from Monday to Saturday. JINAN E-SHINE ELECTRONICS CO., LTD was founded in January, 2009. 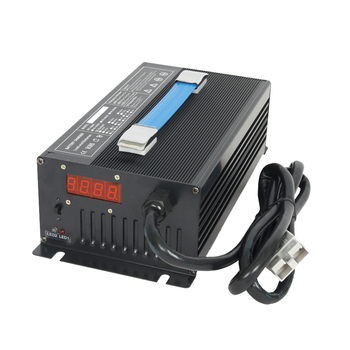 We are specialized in manufacturing lithium battery chargers which can be largely applied for E-motorcycles, E-sweepers and E-forklifts. We adopt high-rate switching mode technology. Our chargers are high quality, stable, smart, portable and efficient (up to 93%). They have Aluminium case, elegant appearance, light weight and small size. We own high-level developing engineers and manufacturing staff, and have ability to handle large orders. Our company has a group of engineers who have been in this field for more than 40 years both in production and management, and a group of young and knowledgeable people with doctor degrees who are skilled in high-tech and innovative thinking. Our company also offers tailor-made products according to customers' requirements. Now our company has supplied high quality, high stable and reliable chargers for North America, Europe and Asia, such as the United States, Canada, Mexico, Germany, Italy, Sweden, Portugal, Japan, South Korea and Taiwan area. All of our products have passed CE, ROHS certification.